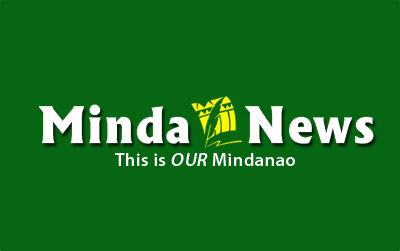 CAGAYAN DE ORO CITY (MindaNews/20 March) — Filipinos shouldn’t feel politically powerless. Most of them have ideas and aspirations but feel isolated or neglected because they have no opportunity to express them or get them acted on. They can’t even share them because even their neighborhoods don’t meet, discuss, or exchange views. Those who feel strongly about certain issues should show up in their Barangay Assembly—where they should assert their right to be heard, to speak out on matters affecting public interest. The Barangay Assembly is a congregation of sovereign citizens, a parliament of the people, not of their public servants. Its proceedings should not be dominated or monopolized by local politicos. Instead of attract attendance or encourage participation, political grandstanding turns off people and drives away earnest citizens who are sickened by excessive politicking. This deprives society of their ideas and their cooperation or support, and leaves them moping at the margins of power, unable to make a difference in the community. But these are the citizens in whom state sovereignty resides and from whom government authority emanates. It is time they are afforded the chance to perform their mandated role in local governance. No one should make them feel powerless or unimportant, least of all their local government. Government is supposed to be an empowering institution, not an instrument for enabling politicos to impress the community or outshine other politicos. It is time barangay citizens learn to put their officials in their proper place—in the servants’ corner, while reserving center stage for themselves when it is time to deliberate on their community’s affairs. No citizen should ever feel unimportant or insignificant when the community congregates. They are the Boss! To overcome one’s sense of powerlessness, the Gising Barangay Movement provides a simple guide to self-empowerment in 8 Steps. EMPOWERING STEP NO. 1: Get acquainted with your barangay government; it is what makes the neighborhoods of your community look like they do, feel like they do, and the people in them behave like they do. Visit the Barangay Hall regularly and observe its physical set up, facilities, and workers. Check out its bulletin boards and see what notices are posted in them. Talk to the workers and officials if they’re around. Ask for a list or compilation of ordinances; residents need to know the local ordinances so they can comply or help enforce them. If there’s a day care center or reading room, glance at what’s in them. And scan the plaza and the surrounding environment. All this will give a feel of how the barangay is managed—the officials’ sense of duty, transparency, accountability, and concept of public service. Just a superficial acquaintance, but it will help you determine what the local government should be doing and in what manner. EMPOWERING STEP NO. 2: Enfranchise and empower yourself along with everyone by attending and participating in the sessions of the Barangay Assembly. This Assembly should perform its role as the community’s legislative governing body, its parliament. 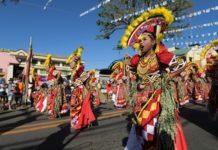 It’s supposed to set the barangay government’s direction, policies, priorities, budget, and service standards—a generally unfulfilled role thus far. Only this Assembly can hold the chairman, the sanggunian, and their appointees accountable for their performance. Everyone is a sovereign member of this Assembly; thus also an official of the local government, a stakeholder/stockholder of it as a public corporation. The proceedings of this Assembly are like a stockholders’ meeting of the corporation, its highest authority. The sangguniang barangay is its board of directors acting on behalf of the stockholders, managing the corporation’s day to day affairs, making decisions when stockholders are not in session. The law requires the members of this Assembly (the barangay’s voters) to meet at least twice yearly in order “to hear and pass upon the activities and finances of the barangay” (Section 398, R.A. 7160). This means it must convene, not just twice yearly as is the current practice, but as often as necessary—to oversee the affairs of the community. Ironically, President B.S. Aquino institutionalized this twice-yearly practice by decreeing when barangays are to assemble (March, then October), dictating its agenda and emasculating the autonomy he’s supposed to promote. But even so, some barangays don’t bother to convene; those that do merely do it to simulate compliance—inviting selected neighborhoods to a “meeting” where refreshments are served. But no serious deliberations take place. The officials do all the governing. Barangay citizens should challenge this practice. It’s not only improper, it belittles a solemn rite of democracy: the convening of the community’s supreme governing body. Those that conduct this Assembly like a political rally, street meeting, or a miting de avance, should be reprimanded, especially if they violate the required one-week’s advance notice. Filipinos need to understand and appreciate that it is only through this Assembly that one can make known his sentiments as a sovereign citizen, apart from casting a vote during election. Without this Assembly, he remains powerless and voiceless—just as individual members of Congress are powerless when that body is not in session, or just as individuals do not constitute People Power unless joined by many more individuals assembled in one place. Moreover, unless this Assembly deliberates on its agenda, the community cannot develop or build consensus on any issue, nor can the popular will be crystallized. Exchange of ideas and opinions is essential to keep democracy dynamic and the diverse sectors of the community harmonious. Such exchanges are what in advanced democracies are called “deliberative conversations”—on which resolutions or consensus statements are based. Consensus is essential for solidarity or general agreement on issues. Opinion polls do not produce consensus, nor express solidarity. Only formal deliberations and exchange can produce consensus, harmony, and solidarity.